(Reuters) – Bill Gates called on Tuesday for strengthened immunization programs against infectious diseases to save 4 million lives by 2015 and 10 million lives by 2020, saying it was the best possible investment in global health. 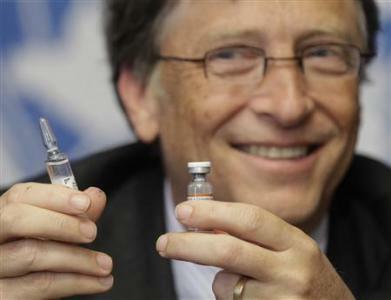 The Microsoft founder and philanthropist said five or six new vaccines could be available by the end of the decade and urged pharmaceutical manufacturers to make them affordable for poor countries. “If donors are generous, we will prevent 4 million deaths by 2015. By 2020, we can prevent 10 million deaths,” Gates, co-chair of the Bill and Melinda Gates Foundation, said. He was addressing the annual assembly of the World Health Organization (WHO) in Geneva, attended by health ministers from the U.N. agency’s 193 member states. 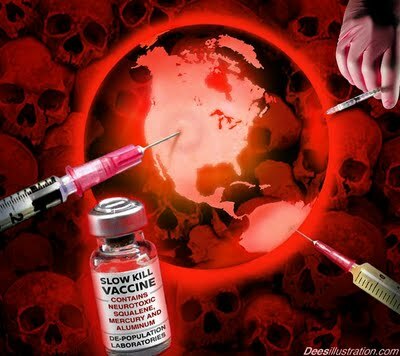 Gates, who said his top priority was helping to eradicate polio worldwide, also met health ministers from countries including Afghanistan and Pakistan where the virus continues to paralyze unvaccinated children. 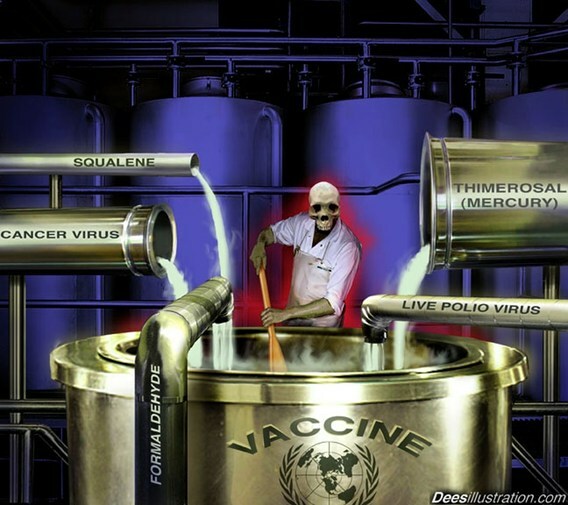 “Vaccines are an extremely elegant technology. They can be inexpensive, they are easy to deliver and they are proven to protect children from disease. At Microsoft, we dreamed about technologies that were so powerful and yet so simple,” he said. The Gates Foundation spends about $2 billion in grants each year for global health programs to tackle AIDS, malaria and other diseases, funding both research and delivery of medicines. After the United States, it is the second biggest contributor of voluntary donations to the WHO, giving nearly $220 million toward its two-year budget of $4.5 billion for 2010-2011, according to the agency. WHO director-general Margaret Chan said that every year immunization programs prevent some 2-3 million deaths. “We know for a fact that vaccine is the most cost-effective intervention and the best buy in terms of return on investment in saving lives of children, women and men,” she told a joint news conference. All countries should aim to have 90 percent immunization coverage against diseases including polio, meningitis and pneumonia, “one of the best investments we can make in the future,” Gates said. Major research-based drug companies are committed to investing in developing innovative, safe and effective vaccines and supporting access to them through partnerships, the International Federation of Pharmaceutical Manufacturers and Associations (IFPMA) said in a statement. The WHO has a $300 million budget deficit, partly because of donor countries’ austerity programs and also the dollar’s strength against the Swiss franc, Chan said. “We will do our utmost to protect our core areas of work, first and foremost protecting activities at country-level,” she told reporters.